Oklahoma rose; hybrid tea rose; state flower of Oklahoma. Photo by T.Kiya/Flickr (Use Permitted with Attribution/Share Alike). 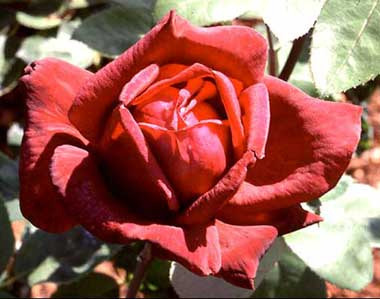 The Oklahoma rose was designated the official state flower of Oklahoma in 2004. Oklahoma also recognizes an official floral emblem (adopted in 1893) and a state wildflower (recognized in 1986), and even a state rock shaped like a rose. 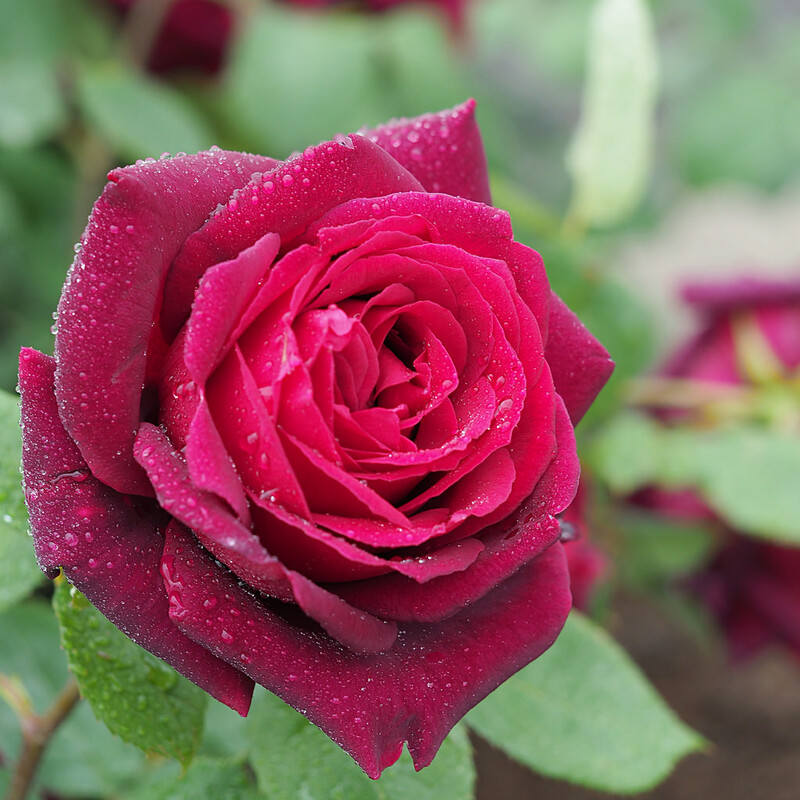 One of the most fragrant of hybrid tea roses, the Oklahoma rose is dark red, nearly black velvet in warm weather. Long, pointed buds open into huge, fully double blooms that are extremely fragrant with wonderfully strong, sweet old-rose perfume. There are hundreds of species of rose. Roses are red, pink, white, or yellow and can have a wonderfully rich aroma. The rose has played an important role in myth, history, and poetry from ancient times to the present. The rose has been around for about 35 million years and grows naturally throughout North America. Rose petals and rose hips are edible and have been used in medicines since ancient times. Rose hips (the fruit of the rose which forms at base of the flower) are eaten in winter by wild birds and other animals. Oklahoma rose; photo © Heirloom Roses (all rights reserved; used by permission).